By volume, the red blood cells constitute about 45% of whole blood, the plasma about 54.3%, and white cells about 0.7%. 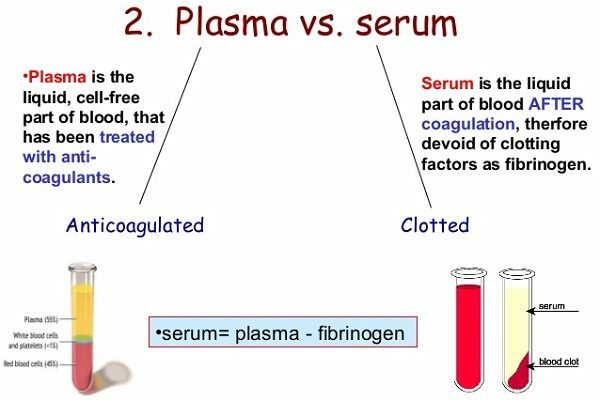 Serum is that part of blood which is similar in composition to plasma but excludes all of the clotting factors of blood. From the serum samples, the Exenatide clinical trial researchers separated out the ‘exosomes’ in the solution. Ah…yeah, remind me again, what is an exosome? Cells in our bodies are surrounded by double-layered membranes that protect the internal workings of a cell from the ‘outside world’ of our bodies. These membranes bring in food and signalling messengers from the outside world, and they also release material from inside cells to said outside world. One of the ways that cells release stuff is via small, double-layered membrane sacks called exosomes. On a regular basis cells in our body will gather together excess material (think, RNA, protein, etc) and package it into tiny circular bags (the exosomes). The cell pools these exosomes into a larger bag, called a multivesicular endosome (MVE; sometimes referred to as multivesicular bodies or MVBs), and then either sends it off for waste recylcing (via lysosomes) or to be released into the extracellular space – the world outside of the cell. And this is not simply a method of ‘spring cleaning’ for the cell. It is now a widely appreciated that exosomes are a means of communication between cells. Cells will regularly take in exosomes via various routes and analyse their contents. Now, exosomes are robust little things, and they can travel great distances. Some of the exosomes generated in one organ of the body will find their way out of that organ and into the blood stream. And this is where things can get interesting. So before I answer this, we need to go back and have a look at what the diabetes drug Exenatide actually does. Exenatide is a GLP-1 receptor agonist. In cells, receptors act as switches for certain biological processes to be initiated. Receptors will wait for a protein to come along and activate them or alternatively block them. The activators are called agonists, while the blockers are antagonists. Exenatide is an agonist – it activates the Glucagon-like peptide-1 (GLP-1) receptor. Both of these pathways are important for cell survival (Click here and here to read more about these pathways), and evidence of their activation following treatment with Exenatide is important for determining if the drug is having its intended effect. Ok, so the Exenatide anti-diabetes drug activates the AKT and MAPK neuroprotective pathways in cells? In addition to inhibiting cell death pathways, there is also evidence that GLP-1 receptor activation reduces oxidative stress, and increases neurotransmitter release. For a recent and very good OPEN ACCESS review of the GLP-1-related Parkinson’s disease research field, click here. But for the purpose of this post, just remember that Exenatide activates the AKT and MAPK pathways. During the Phase II Exenatide study, blood samples were collected from the participants at each assessment. From those samples, serum was isolated. From those serum samples, brain-derived exosomes were extracted. And when the researchers analysed these brain-derived exosomes, they found evidence of increased activity in the AKT pathway. What do you mean “brain derived” exosomes? Many different types of cells in the body produce and release exosomes – as we discussed above it is a mechanism by which cells can communicate or dispose of waste. Given that exenatide is injected peripherally and floods the body with GLP-1 agonist, there could be evidence of Exenatide activity in most (if not all) of the exosomes in the blood samples. The researchers in this study wanted to be sure that they were isolating exosomes that were released by cells in the brain. This way they could determine if Exenatide was active in the brain. So how did they isolate exosomes that were originating in the brain? As I mentioned above, exosomes are robust little things and they can travel great distances, including exiting the organ of origin and entering the blood system. The researcher used a specific membrane surface marker that is produced by neurons (called L1 cell adhesion molecule or L1CAM). In the lab, the researchers separated the brain-specific exosomes with this L1CAM marker, from all of the other exosomes in the serum samples. And when the investigators analysed these brain-derived exosomes, they found that inside them there was evidence of AKT activation. Specifically, individuals treated with Exenatide displayed signs of a restoration of insulin signaling within the exosomes (in the form of increased phosphorylation of insulin receptor substrate 1). This benefit was observed at both the 48 weeks timepoint (P = .003) and at the 60 weeks timpoint following 12 weeks of no treatment (P = .01), compared with patients receiving placebo. Exenatide treatment also elevated levels of AKT in the exosomes, as well as mechanistic target of rapamycin (mTOR) (don’t ask, we will be coming back to mTOR is a future post). And these changes correlated nicely with the motor score changes that were being observed in the clinic. Interestingly, there were no differences in MAPK activity in the exosomes of both the Exenatide treated group and the placebo group. And the researcher wrote that their “data suggest that the MAPK pathway is less likely to be involved in any beneficial effects of exenatide in PD“. But why is all of this important? We have some clinical data suggesting that Exenatide is having an effect. Why do we need the exosome analysis? Clinical evaluations of Parkinson’s are not an ideal measure for the clinical trial setting. Determining target engagement in the brain is complicated. On the former, most clinical studies rely on clinician-based rating scales (such as the UPDRS) for their measure of a treatments efficacy. Not only is there variability between clinicians in this method (some assessors are more strict than others for example), but this episodic measure also depends to a great deal on what kind of day the participant is having. As good as the clinicians are at their jobs, there is universal agreement that better tools of assessment are required. And on the latter (target engagement) issue, one of the biggest problems with all neurological research is that it involves the brain. 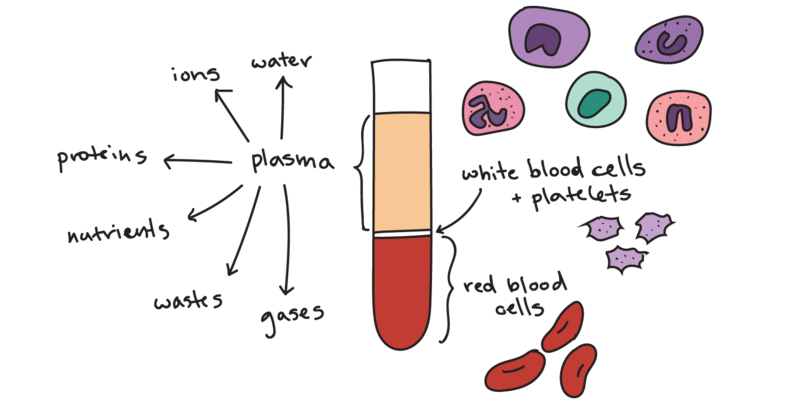 In hematology (the study of blood), clinical researchers administer a drug, take a blood sample, and easily determine whether the treatment has any effect. 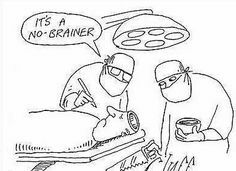 As you may appreciate, there are very few volunteers partaking in neurological clinical research who are prepared to provide a sample of their brain for analysis (and even fewer neurologists who are prepared to take the sample). Biopsing the brain is not a crowd pleaser. This has been a major limiting factor for brain research, particularly clinical trials where determining actual target engagement is important, but difficult. Target engagement (the actual interaction of the drug/treatment with its intended target protein or biological pathway) has traditionally relied on inaccurate methods, such as brain imaging. This new exosome study suggests that a possible solution to this problem could be as simple as an analysis of a blood sample. But this approach needs to be independently replicated and further investigated before it can become a new tool in clinical neurological research. There are a few details that need to be ironed out. 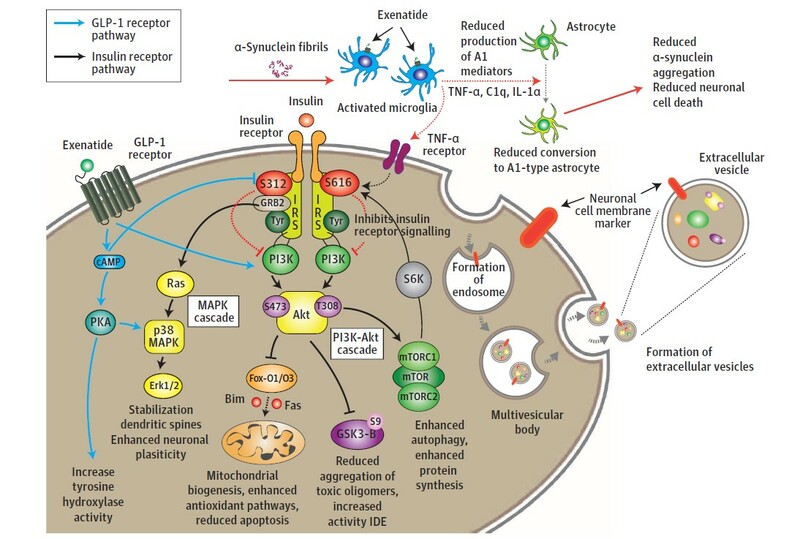 The notion of a brain-derived exosome is critial to this new approach. 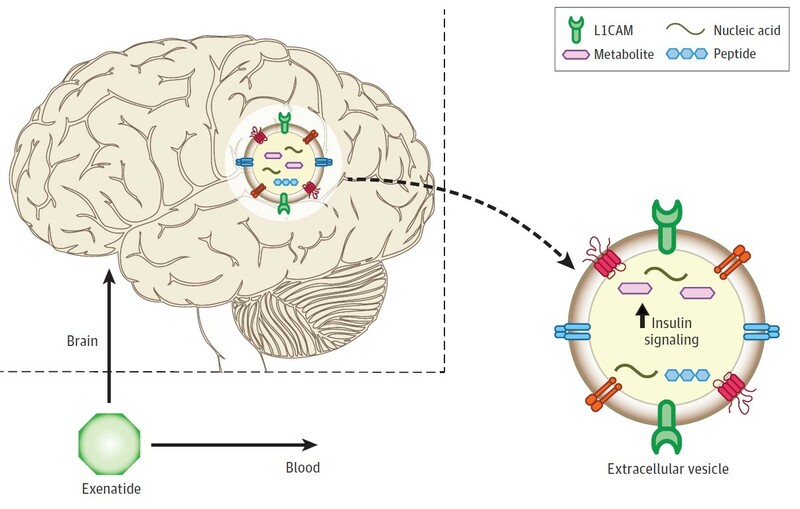 In the study, the researchers were completely reliant on the presence of the L1 cell adhesion molecule (L1CAM) to isolate “brain-derived exosomes”. L1CAM is a molecule which sits on the outer surface of the exosome membrane. It may be, however, that L1CAM is not exclusive to cells in the brain. For example, there is evidence that L1CAM is present on lymphocytes (a type of blood cell) at low levels (Click here to read more about this) and in cancer cells (Click here to read more about this). And these cells are likely to be affected by Exenatide treatment. Thus, use of the L1CAM marker may result in the isolation of an impure population of “brain-derived” exosomes, which could affect the interpretation of the results. Luckily, this is an active area of research and use of additional surface markers (in combination with L1CAM) could help to isolate more pure populations of exosomes for analysis (Click here to read more about this are of research). And other areas of neurodegenerative research are exploring the use of brain-derived exosomes as well, particularly as biomarkers (for example, decreased levels of synaptic proteins in brain-derived exosomes are being investigated in Alzheimer’s and frontotemporal dementia – Click here to read more about this). One of the hardest parts of a clinical trial in neurodegenerative conditions is proving target engagement in the brain. Brain imaging studies can tell us that something happened in the brain, but determining whether a drug is actually interacting with its target protein has to date been very difficult to accomplish. Many participants in clinical trials have been asked to endure lumbar punctures (sampling of cerebrospinal fluid via the spinal cord), in order to demonstrate that the treatment is accessing the brain and engaging the target protein/pathway. Now researchers have proposed a simple blood sample analysis which could change this situation completely. I have to admit that I find this result hugely exciting (despite the limitations that still need to be addressed). This approach could change the way we conduct clinical trials in neurodegenerative condtions. It will be very interesting to see how this area of research develops. I am also curious to see how this technique will be employed in the upcoming Exenatide Phase III clinical trial, which will hopefully be starting in the middle of this year. Simon, thank you as always for sharing your great research findings and helping us understand the ramifications. Regarding the Exenatide study, what are the ramifications for those with PD? I understand the incredible value of having (finally) a simple way to confirm whether treatments are making it to the brain, but is there anything new in terms of its impact on PD? I am taking Victoza and extremely curious. Thanks for your comment – glad you liked the post. There is no new news regarding Exenatide or other GLP-1 agonists in Parkinson’s yet. We are expecting news of a Phase III clinical trial to be starting soon hopefully here in the UK. Beyond that, we are awaiting the results of more Phase II trials (one in France and the other in California). Sorry. There were some concerns regarding the weight loss issue associated with GLP-1 agonists (due to loss of appetite as a result of the drug), but in the Phase II clinical trial the weight loss plateaued after the first month or so, and the only person to quit the trial due to weight loss was in the placebo treated group! I will let you know as soon as we have more information.